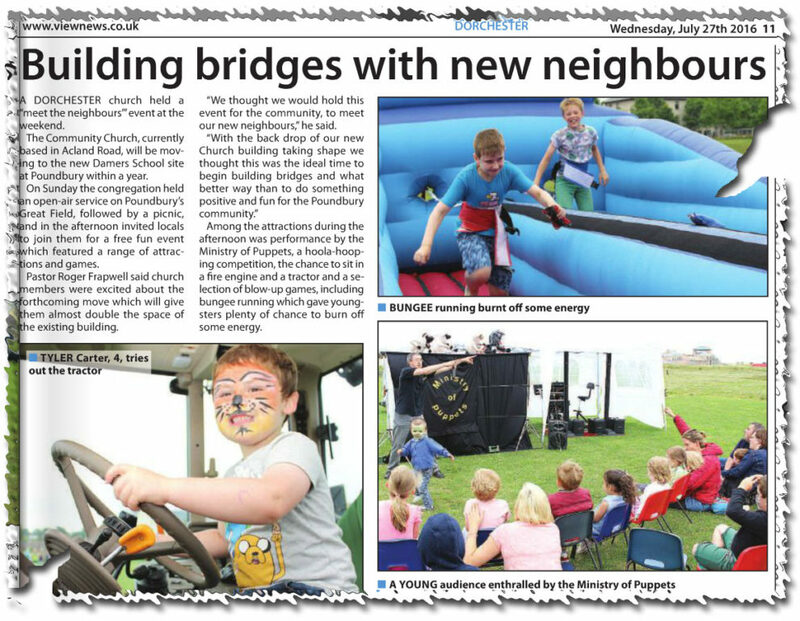 In preparation for our move to the new building we occasionally met together as three congregations. We met at the TA Centre, the Town Hall, Sunninghill Prep School, Dorchester Middle School and St Osmund’s School. “RADIO SOLENT” – 17th May Interview with Roger Frapwell (Pastor) on Radio Solent. 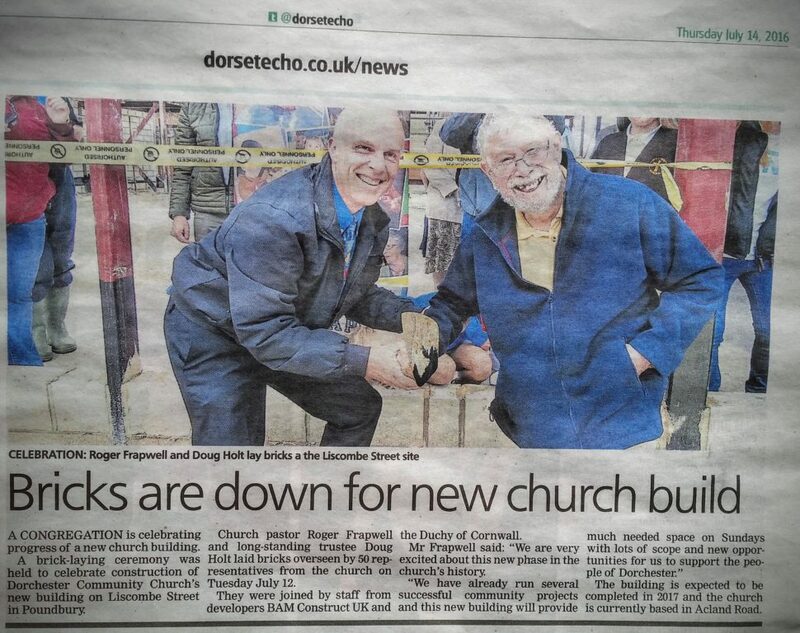 COUNCILLORS have agreed to purchase the Dorchester Community Church for more than £900,000. Members of West Dorset District Council’s executive considered a number of options to purchase the Acland Road church in order to make way for the proposed redevelopment of Charles Street. 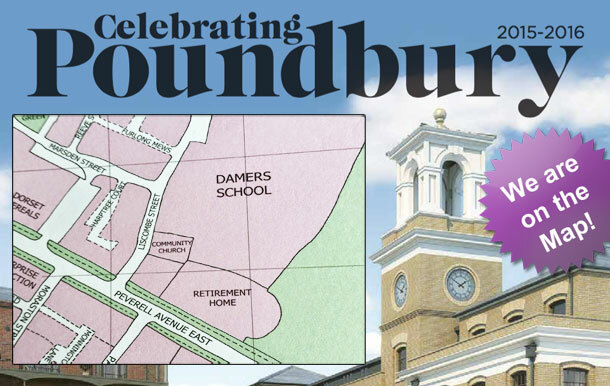 Although it was conceded the current scheme being put forward by Simons may not go ahead, councillors agreed that purchasing the church and allowing it to relocate to the new Damers School site at Poundbury was key to future development of the site. Last week the Echo revealed how the council was awaiting confirmation from Simons as to whether its scheme would proceed in light of English Heritage’s calls for further archaeological works on the site that would impact on the cost of the redevelopment. A report considered by members stated that the market value of the church had been assessed as £350,000 but because the council was a ‘special purchaser’ and needed the site for redevelopment or additional parking spaces its value to the authority was at least £700,000. The committee agreed to purchase the church for £905,000 plus £25,000 fees, recognising that it represents the market value of the property at the present time together with an investment in the economic development of the town. The council had already allocated up to £2 million to fund preparation works for the Charles Street site including the purchase of the church. Council leader Anthony Alford said that the value of the church to the council was essentially ‘intangible’ because of its implications for the wider development of the site. Members were told that Simons had yet to secure the landing rights for the Tudor and Hardye Arcade, which was also necessary for the scheme to go ahead. “RADIO SOLENT” – 7th July Interview with Tim Westwood (Chair of Trustees) on Radio Solent another step closer to Poundbury. 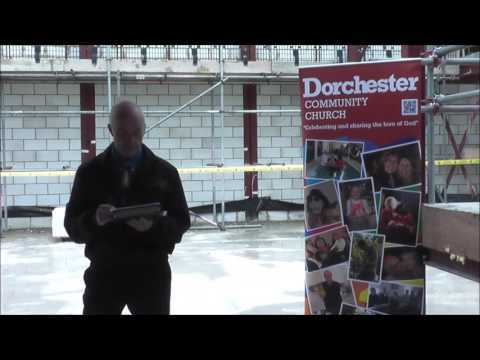 “RADIO SOLENT” – Early morning news on 6th July 2015 – Interview with Tim Westwood (Chair of Trustees) on Radio Solent regarding our church move to Poundbury.